Here are before and after pictures that show the results of a Slate Restoration, Cleaning job we did on a Slate Patio in Laguna Hills, Orange County, California. This backyard patio was installed with slate tiles surrounded by random flagstone pieces. After many pool parties, the overall appearance is dirty and colorless. 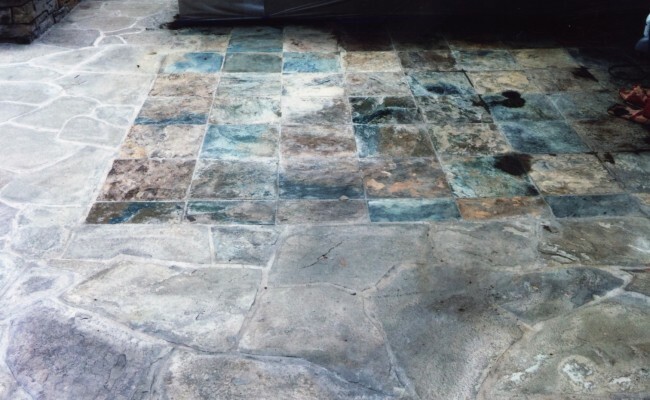 The after photo shows a restored patio with vibrant colors! Please note, the enhancer sealer we used has left a “matte” or non-shiny appearance. Many contractors and customers prefer high gloss sealers unfortunately, many of these “wet look” sealers do not last long in exterior applications. 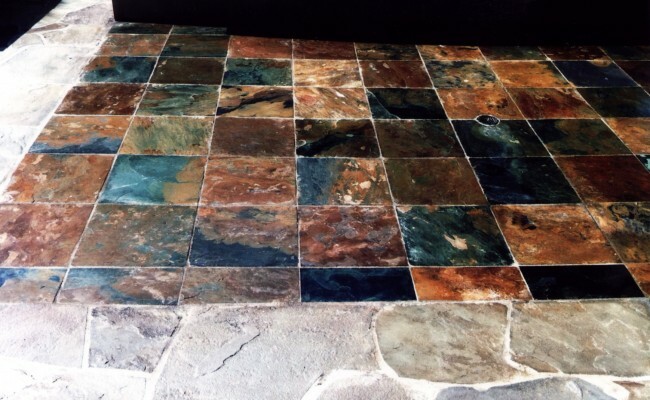 If you have a Slate Patio that needs Slate Restoration, Cleaning and live in Laguna Hills, Orange County, California call Vaporlux Stone & Tile at today.